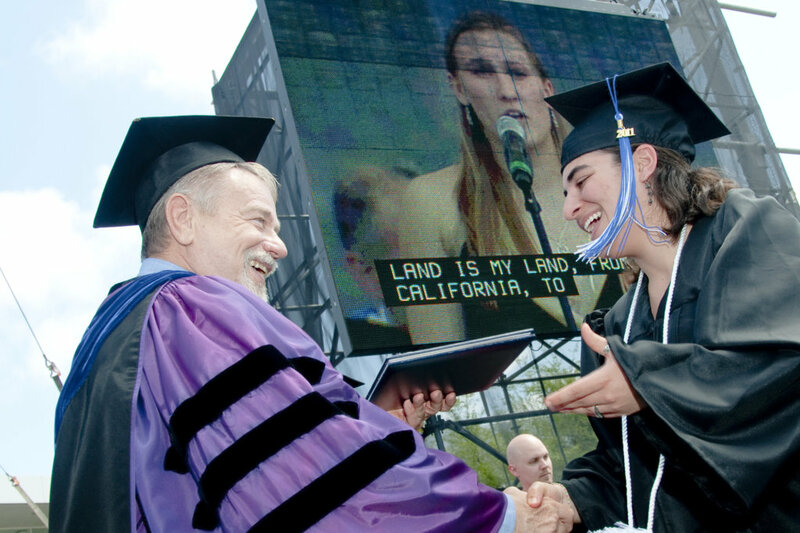 LNS Captioning provides live captioning for graduation ceremonies, allowing everyone in attendance to know what is being said on that special occasion. Our captions can be sent to a caption encoder, adding the captions to the video screen in the stadium or arena. Our LNS Webstream service offers many streaming delivery methods, including using StreamCast or inserting the captions into an i-Frame on the website that is the part of all graduation ceremonies today. Our captioners can be located on site at the ceremony or remotely, captioning from anywhere in the country. Our services include encoder rentals and text files of the spoken word at the event. Contact us for more details and a quote.